housing includes a stainless steel hasp latch, which will also accept a padlock. 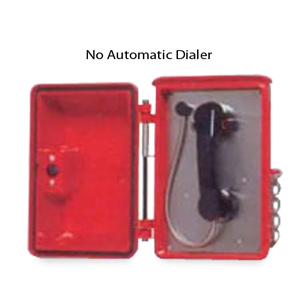 The GB90 Series of telephones uses a newly designed housing incorporating either a push latch or a push key lock. All housings are equipped with gaskets and the Legend Telephone.